If you’re looking for a dentist in the greater Knoxville, TN area who can address all your dental care needs, you’ve come to the right place. I’m so glad you found me! 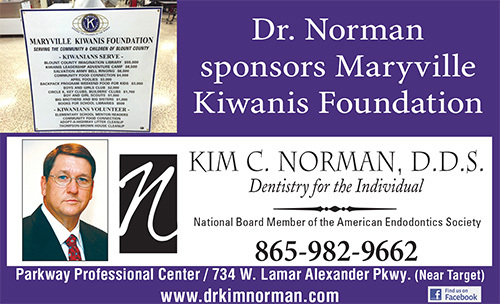 My name is Dr. Kim C. Norman and I have been based a Maryville dentist since 1986. My practice is founded on customer service and patient satisfaction. At Kim Norman, DDS Dentistry for the Individual, we offer high quality care based on excellence in clinical skills and ethical standards. We value the long-term relationships we have with our patients, built on years of mutual trust and respect. We offer a wide range of dental services for the individual patient. My staff and I strive to give you the best possible dentistry that we can provide. When it comes to individual dentistry, we focus on giving patients personalized care-what you want, what you need and what you value are important to us. We understand that each patient is different, and each person requires a unique treatment program. By treating your specific needs, we hope to not only resolve your dental issues, but also offer you a satisfactory experience with us. When you visit my Maryville dentist’s office, you may rest assured that I will devote my time to getting to know your dental background and your oral health concerns. As your dentist, I will conduct the necessary oral examination and diagnosis, prior to any treatment. I will thoroughly explain your oral health status to you, and educate you about the different treatment options for your situation. Under my watch, you will be given premium, quality care. If you experience any anxieties while undergoing our dental treatments, our office will do everything it takes to put you at ease while providing you with safe and attentive care. As a dentist based in Maryville, I have the extensive training and education necessary to provide the best care you deserve, for all of your dental needs and concerns. Our office strives to serve the local community, and we hope to encourage better dental health in all our patients. Contact us and find out more about one of the most trusted of Maryville dentists. Looking for a Knoxville or Maryville dentist? Let us know how we can be of service. 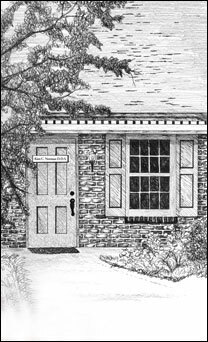 The dental office of Dr. Kim C. Norman primarily serves patients within Tennessee, particularly those from Maryville and Knoxville. For more information about our services or treatments, you may call us at 865-982-9662 or visit our contact us page and fill out the web form. Thank you for your donation to Army E-227 unit currently serving in Iraq. Because of your generosity, we were able to buy more things to make their stay less stressful while serving away from home during the holidays!